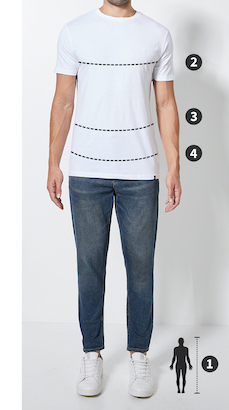 Please note that Superbalist men’s jackets & shirts are designed to fit the following measurements. Some brands may vary from these measurements but the table can still be used as a guide. Earn your stripes in this sporty short sleeve T-shirt with side-stripe seams along the shoulder blades. Wear with joggers and trainers for a cool look.